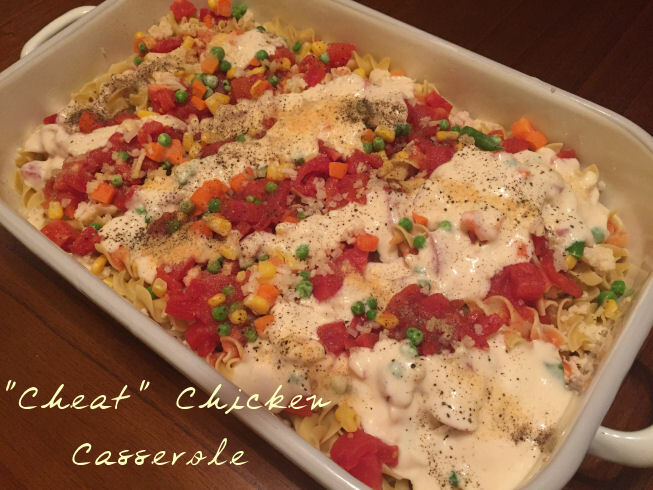 Easy Chicken Casserole Throw this easy, "cheat" chicken casserole together in minutes. Perfect for those busy weeknights, when there's just not enough time. This entry was posted in Recipes and tagged chicken and ragu mozzarella, chicken casserole, chicken casserole recipe, Chicken Recipes, creamy casserole recipe, easy chicken casserole, easy weeknight chicken, easy weeknight meals, fast casserole recipe, fast chicken recipe, housewife life, ragu mozzarella sauce, ragu recipes, recipes with ragu mozzarella sauce.